Shireen Rosario is currently working as a lecturer at the College of Commerce and Business Administration since September, 2013. She teaches graduate students Financial Accounting, Government and Fund Accounting and Management Accounting . Prior to joining Dhofar University she was teaching the pre university students for 21 years in India and Oman. Her areas of specialization are Advanced Accounting and Management Accounting . Shireen obtained her Master’s degree in Commerce from the Bangalore University in 1991. She is currently pursuing her PhD . 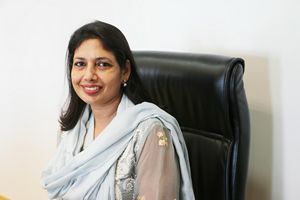 Shireen was the Head of the Department, Commerce at the Indian School, Salalah and during that period she was involved in monitoring all academic activities of the Commerce Department – arranging for guest lectures, conducting project evaluation by external examiners, ensuring proper conduct of classes and examinations at the internal and the board level. She has been the external examiner for project evaluation for CBSE Board.She has co-ordinated Industrial Visits and guest lectures for the Undergraduate & Graduate students. Dividend Payout, Capital Structure, Banking, Corporate Accounting, Risk Management, Financial Performance Analysis. Courses developed: Principles of Financial Accounting, Intermediate Accounting II, Government and Fund Accounting. Analysis of Working Capital Management between A’ssafa Foods & Sohar Poultry.